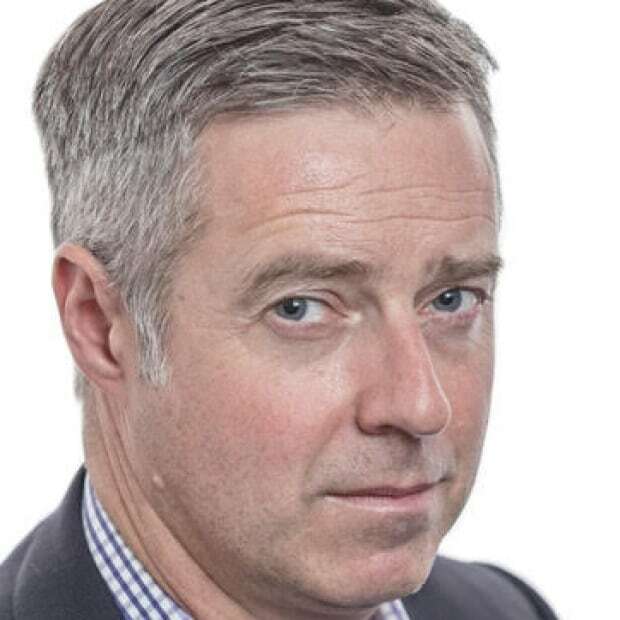 A closer look at the day's most notable stories with The National's Jonathon Gatehouse: Britain's future is far from clear as Brexit draft deal draws intense criticism; small northern Ontario mining town of Cobalt may soon become extremely important to the increasingly battery-powered world. As the clock ticks down to next year's March 29 Brexit divorce date, an already chaotic process has become what the Brits call an "omnishambles." Evaluating the good and bad that comes with the rise of nationalism. A small northern Ontario mining town may soon become extremely important to the increasingly battery-powered world. Once upon a time, it seemed like a smart political move. At the beginning of 2013, then-Prime Minister David Cameron promised a simple "in/out vote" on Britain's membership in the European Union, if only to quiet the Brussels-haters on his own backbench. The pledge helped unite his party while blunting a right-wing challenge from the U.K. Independence Party. And two years later, the Conservatives coasted to victory in the general election, transforming their minority government into a majority. The Brexit referendum in June 2016 was supposed to solidify the status quo. But the "Remain" campaign was lacklustre, and the opinion polls that predicted a pro-EU win proved to be wrong. The "Leave" forces carried the day with a narrow 51.9 per cent to 48.1 per cent victory. And 10 hours later, Cameron quit his job. The task of extracting Britain from its 45-year relationship with Europe while trying to hold a fractured Tory party together was always going to be a thankless one. And when none of the Brexit agitators could build sufficient support, it ultimately fell to someone who had campaigned for the Remain side, Theresa May. But now as the clock ticks down to next year's March 29 divorce date, an already chaotic process has become what the Brits call an "omnishambles." Yesterday, May finally unveiled her draft exit deal with the EU after 17 months of fraught negotiations with Brussels. A special meeting to sell her cabinet colleagues on the agreement dragged on for five hours, and when the prime minister finally emerged from 10 Downing Street to address reporters, she stood by herself in the darkness. By this morning, all pretence of party unity was gone. So far, four of her ministers have quit in protest of the compromise deal, including Dominic Raab, the Brexit secretary, citing "fatal flaws." In the House of Commons, May's vow that the draft treaty will lead to a "smooth and orderly" exit from the EU was met with derisive laughter from both her own and opposition benches. And shortly afterwards, on the lawn outside Westminster, one of her hardline Brexit MPs, Jacob Rees-Mogg, launched the campaign for a vote of non-confidence in his boss, struggling to make himself heard over the amplified shouts of a protestor wearing a Stop-Brexit top hat and a Union Jack cape. Early indications are that there isn't much public support for May's deal, which will avoid a hard border in Ireland, but keep the U.K. at least tenuously tied to Europe and still subject to many EU regulations. An overnight YouGov poll found 75 per cent of respondents saying that May has failed to achieve what she promised in the negotiations, and 85 per cent saying the process is a "mess." The survey placed support for leaving the EU at 46 per cent, versus 54 per cent for remaining. And calls for a redo referendum are growing. <a href="https://twitter.com/hashtag/Brexit?src=hash&amp;ref_src=twsrc%5Etfw">#Brexit</a> has collided with reality and now the cowardly bastards who plotted its course scramble for the lifeboats squealing ‘it’s all her fault! We could have magicked the icebergs away!’ <br><br>This is a crisis. The country has the right to speak again. 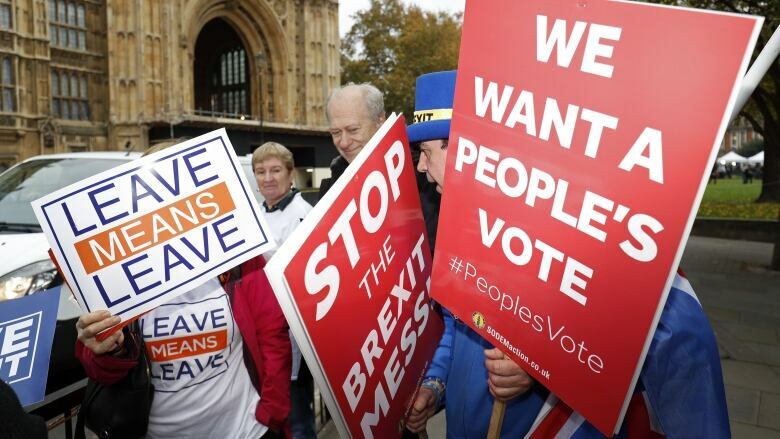 We need a <a href="https://twitter.com/hashtag/PeoplesVote?src=hash&amp;ref_src=twsrc%5Etfw">#PeoplesVote</a>. Meanwhile, the first ministers of Scotland and Wales have issued a letter demanding an emergency meeting with May about a deal they say is "symptomatic of the chaotic approach to the negotiations" and fails to take their best interests into account. And Michael Gove, a Leave-side stalwart who May has tapped to become her next Brexit minister, is reportedly demanding that he be allowed to reopen negotiations and try to improve her deal. In short, the future is far from clear. The draft treaty, which is also opposed by the Labour Party, could fail to win enough votes in Parliament. Or May could pull it back for tinkering, extending the divorce deadline for another. A snap election is also an option. Although almost every scenario involves May ultimately losing her job. As it stands, the deal is scheduled to be ratified by the end of the month. But the man who oversaw negotiations for the European Union appears skeptical at best. Tonight's At Issue panel looks at the good and bad that comes with the rise of nationalism, writes Rosemary Barton. Earlier this week, as world leaders gathered in Paris to mark 100 years since the end of the First World War, the French President took it upon himself to deliver a message. 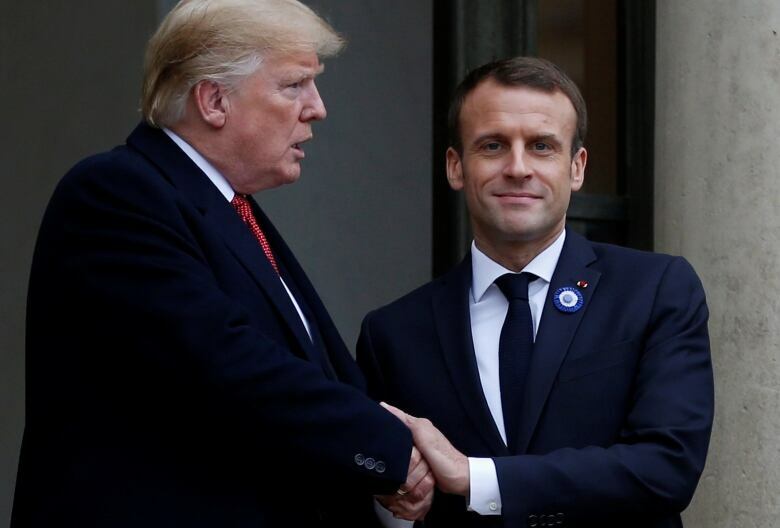 Emmanuel Macron warned of the rise of nationalism and reminded the world that this is, in part, what led to both World Wars. He called nationalism a betrayal of patriotism. And he said it all while Donald Trump sat in the audience in front of him. Our Prime Minister made similar warnings, though perhaps less blunt. Meanwhile, former Prime Minister Stephen Harper, who has just penned a book on populism, called Macron's words "disconnected elitism" in an article this week. It's not the biggest week in politics — the House is not sitting, the Prime Minister is off discussing trade with Asian countries, and no-one's questionable private texts have been made public. So it's a perfect time to sit back and think about some of these bigger ideas. It's what Andrew Coyne did very eloquently in his column this week, making the case for the good kind of nationalism. "Difficult as it may be to believe amid the narrowness and nastiness of so much of today's nationalism, there is a another kind of nationalism, one that is about inclusiveness, rather than exclusion; co-operation with other nations, rather than conflict." We'll try to unpack some of that, lay out what the risks are to countries and to people — and whether any of it is just "elitism" as Harper seems to think. Andrew, Chantal Hébert and Andray Domise join us tonight on At Issue. A small northern Ontario mining town may soon become extremely important to the increasingly battery-powered world, writes reporter Peter Armstrong. Odds are, you're reading this newsletter on something powered by a battery. Our phones have come to power our lives. But for all the minutes and hours a day you spend staring at that bright-lit screen, how much time have you spent thinking about the batteries that power your phone? The likely answer is not much, unless you happen to be running low on juice. But it's a timely question, because battery makers are bracing for a global shortage of cobalt. The metallic element is a key component of batteries. Grams of cobalt go into a phone battery, but pounds of the stuff go into a car battery. And as electric car sales increase, there's growing concern about sourcing enough cobalt to meet demand. Plus, most of the world's cobalt supply comes from the Democratic Republic of Congo. The industry in that country is rife with human rights abuses, child labour and environmental concerns. So prospectors have turned to an old mining town in northern Ontario that, as fate would have it, happens to be called … Cobalt. Cobalt, the town, was built on silver mines in the early 1900s. Cobalt, the metal, wasn't worth anything back then. It was just an indicator, a sign that something of actual value was nearby. Retired miners tell stories about the good old days decades ago when the mines produced silver — there was an opera here, a professional hockey team and a streetcar. When the mines closed down the community fell on hard times, and now it feels like a ghost town. But while the silver mines have been picked clean, a ghostly pink hue runs through the rock in many of the old, abandoned shafts. All that pink is cobalt. Cobalt is one of the best-performing commodities of the past few years. The price per pound fluctuated around $12 US for several years, but started to climb in 2017. It spiked to more than $40 earlier this year, and currently sits around $20 per pound. So, prospectors have begun digging and drilling in Cobalt, Ont., hoping to prove the silver mines have enough cobalt left behind to warrant a new mining operation. We met Frank Basa, CEO of Canada Cobalt Works, at the bottom of the old Castle Mine where water now runs knee-deep in parts. Basa's a story-teller, a natural promoter who shines a flashlight on thick pink veins of cobalt running along the mineshaft. It's clear there's cobalt here, but is there enough and is it concentrated in a way that makes it profitable to dig it out? That's the question facing this town and the prospectors digging in these hills. Cobalt the metal has had a spectacular run these past few years. Cobalt the town would like to cash in. READ: The feature about cobalt prospecting in Cobalt, Ont. 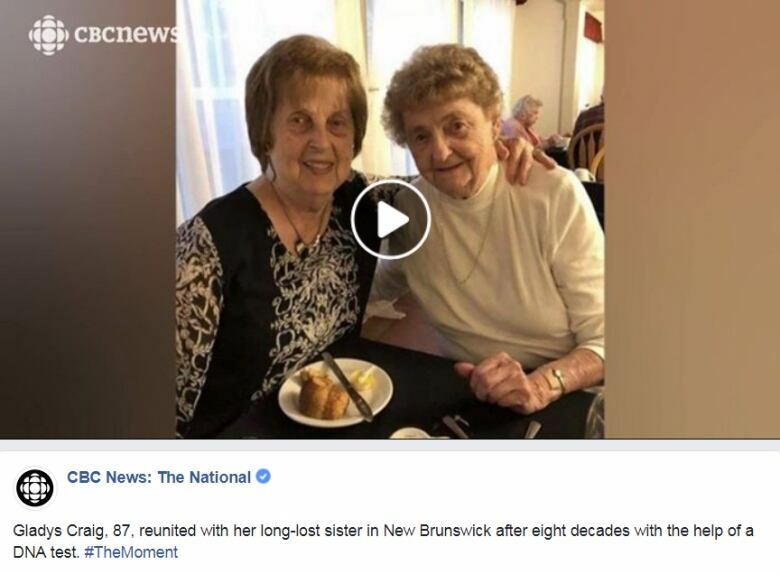 New Brunswick sisters reunited via a DNA test after eight decades apart. "Simple repatriations without the kinds of assurances and support for the Rohingya themselves is not necessarily the best solution. They fled because of fears of violence and because of actual violence. To return them without proper support and proper protections would be a challenge." - Prime Minister Justin Trudeau expresses Canada's concerns about new efforts to return Rohingya refugees in Bangladesh to their homes in Myanmar. The morning after great crowds had gathered outside of Buckingham Palace for news of little Chuckie's birth at 9:14 p.m., Matthew Halton tries to make sense of the excitement for CBC Radio. The Prince will be trained from infancy for his "high role on the world stage," he notes, but that could be a long time coming. "If his grandfather the King, and his mother the princess, both live the full span of life, he may well be 50 or 60 years old before he ascends the throne."